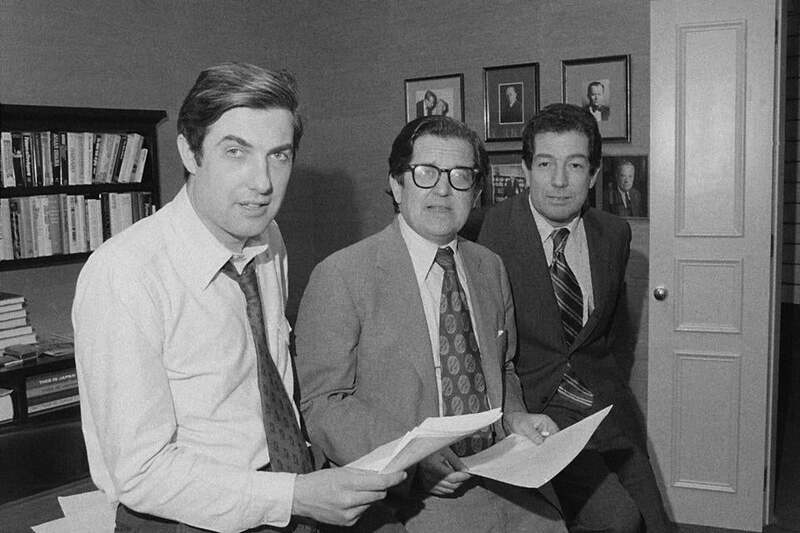 From left, reporter Neil Sheehan, managing editor A.M. Rosenthal, and foreign news editor James L. Greenfield are shown in an office of The New York Times after it was announced the team won the 1972 Pulitzer Prize for public service for its publication of the Pentagon Papers. 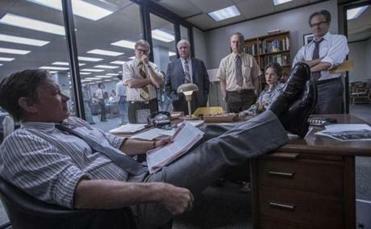 “THE POST,” Steven Spielberg’s film about The Washington Post’s Pentagon Papers coverage, in 1971, opens Friday. Meryl Streep has rightfully won raves as publisher Katharine Graham, who manages to triumph in a male-dominated corporate world and forms a powerful alliance with Tom Hanks’s cantankerous editor Ben Bradlee. One is the Nixon administration, which goes to court to block press accounts based on the stolen secret documents that reveal decades of US government deception about the Vietnam War. The other? The New York Times, which gets the Pentagon Papers scoop first, turning the Post into a jealous rival eager to catch up. As a student of the Pulitzer Prizes, I rate “The Post” in a class with my favorite journalism movies: 1976’s “All the President’s Men” and 2015’s “Spotlight.” Those two capture the thrill of reporting that leads to a Pulitzer — at The Washington Post for exposing Nixon’s Watergate crimes in 1972, and at The Boston Globe for detailing, in 2002, sexual abuse of youngsters by Catholic priests and how it’s covered up by the church. But the new movie’s study — of two high-pressure weeks that help transform the Post into a major national player — isn’t really about reporting at all. It focuses on the newspapering business, seen through Graham’s daunting challenges, both corporate and legal. “The Post” is grand, thoughtful entertainment and happily sells us a message — a free press is necessary to the healthy functioning of any democracy. Part of the New York paper’s upset relates to its being seen as antagonists — rather than as the news organization whose Pentagon Papers reporting was first and best. Its work over three months of secretly researching and reporting the story, after all, won the Times — and not the Post — the Pulitzer for Public Service.